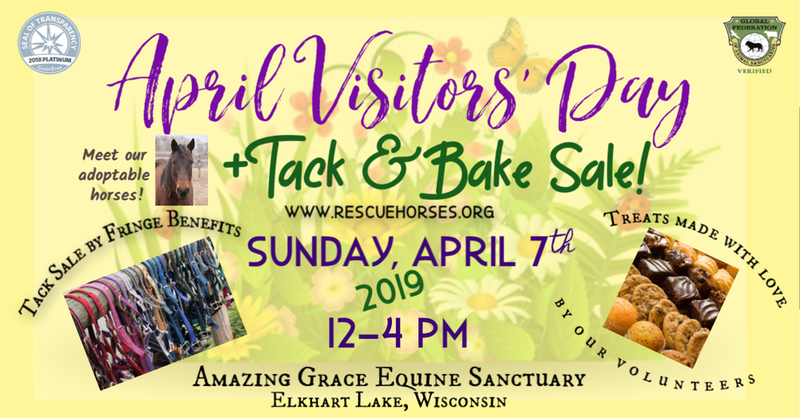 Our next Visitors' Day is Sunday, March 3rd, 2 to 4 pm, but April's is a big one! Thank you to Fringe Benefits, who will be with us to do our huge tack sale! Our bakers are busting out their best sweet treat recipes to lure you in as well. Note the extended hours for April of 12 to 4 pm. Hope to see you there! Newer PostWe're Having a Baby!